But what is so radical about socialist policies? There is still an entrenched fear of socialist policies in America, particularly within conservative circles – a fear that is now outdated and unfounded. 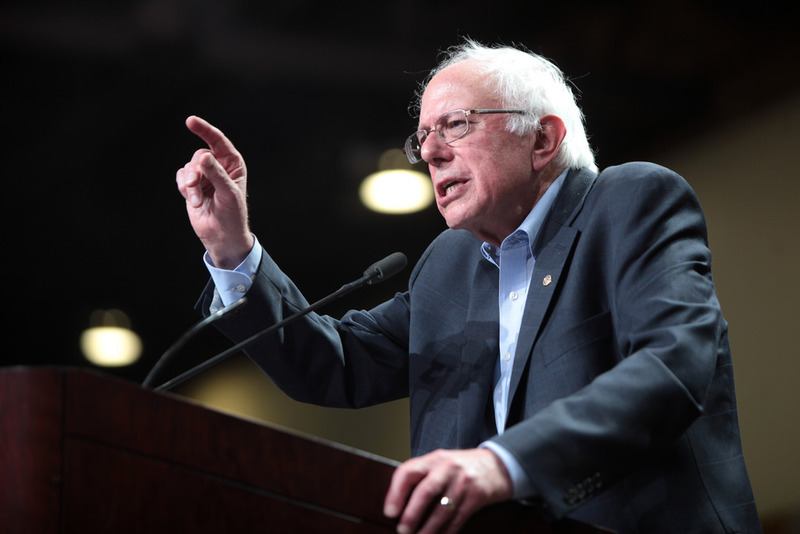 In fact, most Americans are in favour of more socialist policies being adopted: over 70 percent of Americans believe that the rich should pay more taxes; Medicare for All, a cornerstone socialist policy, is supported by 60 percent of the population; implementing free college tuition is supported by 63 percent of registered voters; and 52 percent of people back raising the minimum wage to $15 per hour. The radical position is casting aside socialist reform. Let us start with a working definition of what we talk about when we mention socialists in America, politicians like Sanders and Ocasio-Cortez. Socialism in its purest definition is ” an economic system where the means of production (e.g., factories), capital (i.e., banks), and agricultural land (i.e., farms) were owned by the state.” In cases where this was applied, such as the Czechoslovakia and Yugoslavia, this system resulted in low economic growth and low standards of living. This is not the socialism Sanders and Ocasio-Cortez are talking about. They want most of the wealth to be produced privately with individuals and corporations owning the means of production. However, they also want a higher regulation of the private sector, taxation, and government spending in order to even out the playing field among individuals with the purpose of providing more public social services and diminish the inequality gap. It is democratic socialism. 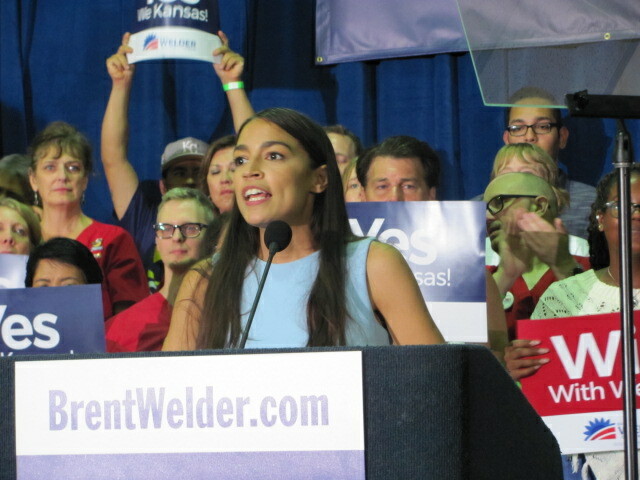 Ocasio-Cortez campaigning for Brent Welder. Indeed, democratic socialism is far from dead in America and is gaining momentum following Bernie Sander’s 2016 presidential bid. The Democratic Socialists of America’s membership, which includes their darling Ocasio-Cortez, has reported a growth of 800 percent going from a steady number of 6,000 members to nearly 50,000 in all 50 states. There is a hunger for more egalitarian policies following disillusionment with the current capitalist system. Despite growing support for socialist policies, conservatives are still decrying the dangers of socialism by categorising people like Sanders and Ocasio-Cortez are the second coming of Lenin. This mass hysteria among conservative circles stems not only from a fear of the disruption of the status quo but also a lack of understanding of what 21st-century democratic socialism looks like. The types of socialist reforms that Ocasio-Cortez and Sanders are proposing are not about the nationalization of industry or the abolition of private property or centralized control of the economy, but rather stronger government regulation of various industries. The key word here is social democracy or democratic socialism. Social democracy is a system that boasts a free market economy while at the same time making sure the rules of the game are not rigged to favour the people that already have a winning lottery ticket. It is a system where high taxation supports the establishment of generous public services, where socialism and capitalism are not conflicting opposites but intersecting partners. Nevertheless, Republicans have a hard time differentiating this 21st century style of (democratic) socialism. They only see red. This problematic characterisation of welfare recipients does not only negate the livelihoods of families that actually need support from the state but is also used to bolster the conservative argument against socialist policies. As Paul Krugman explains in his book, The Conscience of a Liberal, when President Truman tried to implement universal healthcare after the Second World War, Congress would vehemently reject it citing the racist and preposterous notion that federally-funded hospitals would treat black patients alongside white patients. As class, identity, and race can be deeply intertwined in American culture, anti-socialist rhetoric, such as Reagan’s welfare queen, is also permeated in overt racism as it shows the long and deeply racialized history of suspicion and resentment towards families receiving welfare benefits and the “undeserving” poor. Senator Sanders during his 2016 presidential campaign. With wealth inequality at its highest levels since just before The Great Depression, it comes as no surprise that people are anxious for change. They want a fairer society that re-establishes the rules of the game so everyone has a fair chance of success. Socialist policies materially endanger current positions of wealth and power, which explains the hysteria the political establishment is experiencing over Ocasio-Cortez and her socialist policies. Perhaps Republican and conservative rejections of socialist reform do not stem from a McCarthian fear of socialism, but an unwillingness to provide public services that threaten pro-business interests. Socialist policies such as the Affordable Care Act threaten Republican lawmakers’ relationship with many of their donors. Their disdain for socialist policies perhaps is not due to a lack of understanding, but an unwillingness to let go of the interests of their corporate donors. Taking the Affordable Care Act as an example, Republican politicians do not push for privatisation “in order to provide more services to the public at lower cost, but instead to provide new taxpayer-subsidized profit-centers for Republican-donating corporations.” According to Politifact, a single-payer system for the United States would indeed have lower administrative cost than today’s private insurance and, according to the Congressional Budget Office’s numbers, programs like Medicare and the ACA are soon going to be significantly cheaper than private insurance going forward. Last year, Senator Sanders introduced the Medicare for All Act of 2017, a radical bill that would turn the government into “the country’s only payer—besides individuals—for health care.” While the bill had no chance of passing the Republican-controlled Congress, it showed significant evidence of how corporations and lobbying groups affect the success of these types of policies. MapLight, a non-profit that tracks how campaign donations affect politicians voting patterns, ran the numbers and showed a stark conclusion. On average, senators who did not sign the Medicare for All Act of 2017 received $48,000 in donations from accident and health insurance companies while senators who did sign it received an average of $27,000. While these numbers do not show the whole picture since there are different ways a company can donate to a politician, it is indicative of a rejection of socialist policies in favour of pro-business interests. Uttering the word socialism to any right-wing political commentator would prompt them to point to Venezuela as an example of the failures of socialist policy while wistfully ignoring cases where socialist policy has prevailed, such as Canada and the Nordic countries. The reality is that the collapse of the Venezuelan system is more nuanced than simply the adoption of socialist policy. 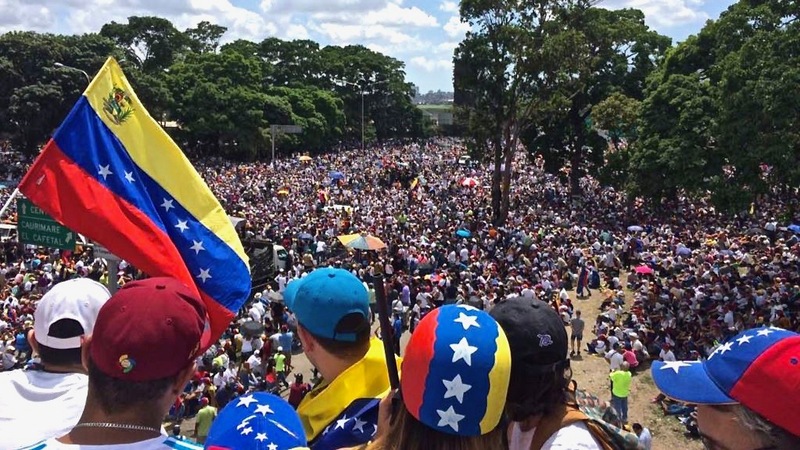 Venezuela is indeed in the midst of a devastating humanitarian, economic, and political crisis. Looking at the collapse of Venezuela is important in order to understand how their wide-ranging and sudden adoption of socialist policies failed, but to assign socialism full responsibility is reductive. Ignoring the different dynamics at play in Venezuela is not only simplistic but misinformed. If we look at most countries that have adopted some semblance of socialist policies today in their political weaving, we can see that the demise of Venezuela is anything but typical. Widespread protests against Maduro’s regime in Venezuela in 2017. Since oil sales are 50% of Venezuela’s GDP, the massive drop in oil prices, in addition to Maduro’s mismanagement of the other sources of revenues for the country and overall corruption and inefficiency, resulted in devastating inflation that has left the country in a crisis. Other factors such as the populist pseudo-dictatorships of Chavez and Maduro, a highly class-divided society, the breakdown of political opposition, and the view of the oil-state as a source of personal wealth further contributed to the current situation. Existing data across OECD nations reveal that the higher the level of social trust in governmental institutions, the higher the tax revenue. In order to sustain a social democratic system like the one thriving in Nordic countries, a country would need a level of social trust in institutions above 80%. While Venezuela is not part of the OECD, the country currently registers a mere 17% in social trust in government institutions according to the Latinobarometro. Thus, societal and institutional trust is so weak that the idea of a social contract is distant. Without trust in institutions, a socialist democracy could never prevail. To return the argument to the United States: the country currently has a level of social trust in institutions below 50%, according to OECD data, which means that it does not have the social foundation for socialism to truly succeed. As Professor Lixing Sun explains, “if trust is low in a society, people will be inclined to suspect others’ motives and avoid being cheated by freeloaders. So, any social program paid with tax dollars won’t be popular.” This freeloader rhetoric is what has brought many Americans, particularly those with conservative views, against socialist policies such as welfare and the Affordable Care Act. Nevertheless, while rates of social trust are not quite as high as Nordic countries’, disillusionment with the current status quo is shining a new light on the potential of socialist policies. Naturally, just as socialism in its purest form, not social democracies, is destined to fail as it did with the Czech Socialist Republic in 1990, market capitalism at its uncontrolled freest is too and we are seeing the dire consequences of such system as there are massive income and social inequalities across the board. Inequalities that are exacerbated and fueled by an elitist, laissez-faire capitalist market. 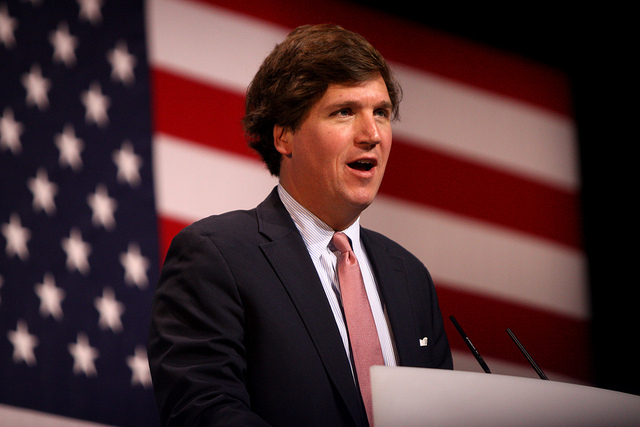 Earlier this January, conservative talk show host Tucker Carlson aired a lengthy monologue that can be categorized as an indictment of capitalism as he declared that “Republicans have considered it their duty to make the world safe for banking, while simultaneously prosecuting ever more foreign wars,” and that the ruling class economic elite are behind the failures of the middle class. Conservative darling Ben Shapiro even declared that Carlson’s speech was more reminiscent of Bernie Sanders and Elizabeth Warren than any other Republican politician. It is easy to blame the opposing side to promote your personal ideology whereas that be advocating for greater state intervention or promoting an unregulated free market. The pro-socialist will most likely cite the success of Sweden before Venezuela just as the capitalist will most likely cite Japan’s free market export model rather than the violence and death in Pinochet’s neoliberal Chile. Nevertheless, by dismissing the benefits of socialist reform, the United States is burying itself deeper into a rut. Let us not forget that social security, free public schooling, and minimum wage all have their roots within socialist rhetoric. The reality is that there are no clean, textbook models of political and economic systems. The question that should be asked is if a given political economy is producing the desirable and best results for its citizens. In both Venezuela and the United States, perhaps to different extents, the answer seems to be the enactment of new political economies in order to bring about satisfaction. In a country where fearing socialism was the norm, we are seeing an unparalleled adoption of the system. There is no denying that socialism in America is growing and as Democrats are making new policy offers to American voters, Republicans will still be pointing at Venezuela’s lack of toilet paper before offering something different to the American people. Edited by Kody Crowell and Gracie Webb. Gretel Kahn is a U3 student currently pursuing a degree in Honours International Development with minors in History and Gender, Sexuality and Feminist Studies. Hailing from Panama, Gretel is a proud Latina at heart thus she has an unwavering interest in Latin American domestic and foreign politics. Aside from writing about Latin America, she also has a keen interest in topics about gender, culture, and the environment. In addition to writing for the MIR, you can find Gretel performing under the theatre lights or in the look-out for free fancy cheeses on campus.